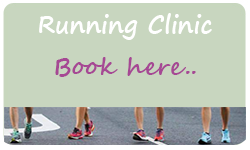 Physiotherapist in Brisbane, pelvic floor dysfunction including urinary incontinence, bowel management and pelvic pain for women, men and children. I refer patients to certain blogs over and over during their treatment session and so have created this Articles section for patients to access easily. Having written blogs on Change and Confidence, today I have decided to write about Acceptance. 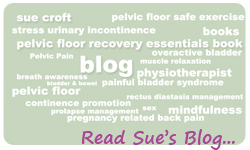 I think, as you can see from some of the stories that I have written about in my blogs, that there are many unhappy ladies dealing with these issues of prolapse, incontinence – both urinary and faecal – frequency, urgency, pelvic pain and so on. Whilst education about the strategies to significantly improve many of the symptoms they are suffering is empowering – some patients really struggle with the less than perfect results that they can obviously be left with. There is a lovely quote by George Orwell that says…’Happiness can exist only in acceptance’. And I think once every avenue has been explored, no leaf unturned – meaning the patient has done and is doing everything you have asked of them; they are the best exerciser, the best deferrer, have the best posture etc and do all these things daily and they still have residual issues, then I truly believe acceptance is what they are missing. By acceptance I don’t mean give up and wear a pad – although I am a great believer in wearing a pad to ensure you still go for the walk, run around with the grand kids and in general keep active. Wearing a pad also gives some women the confidence to defer and hold on, safe in the knowledge that they won’t leak and embarrass themselves out in public. By acceptance I mean that sometimes……many times, women are changed by their birth trauma or their operation – changed forever and that coming to terms with these changes -by accepting their new situation – can be cathartic and unburdening for the woman. Accepting that brisk walking can be as pleasurable as running; that cycling releases as many endorphins as 100 crunches; that swimming builds muscle bulk and tones as successfully as pumping iron – and will perhaps lift the happiness bar up to new heights. There is much to give us anxiety in our mad, hectic lives today and one of the newer fields of study these days is Mindfulness and Work-Life Balance. In fact one of my dear friends Dr Anne Poulsen is an Occupational Therapist who runs workshops on this very subject. The pursuit of happiness (that sounds like a good name for a book) is very important and causes great despair for many of us these days. And I don’t think our politicians these days are good role models in this area. The frenetic pace of our leaders these days is exhausting to watch. Personally I would like to see less sod turning and cycling/swimming/ running and more photos of them sitting at their desks running the country. How do they read or write anything when they are always at the opening of this or that. Anyway back to acceptance. Coming to terms with the changes that have happened to your body and learning to re-love yourself is as important as doing 30 pelvic floor exercises a day. Being happy doesn’t mean that everything is perfect. It means that you’ve decided to look beyond the imperfections. Copyright 2016 Sue Croft Physiotherapist. All Rights Reserved. 47 Hampstead Rd, Highgate Hill, Qld, 4101, Australia.